Allen Tate Company is pleased to announce the relocation of its Charlotte-Steele Creek sales office. The new office is located at 2130 Ayrsley Town Boulevard, Suite A, just off I-485 and Hwy. NC 49 in Charlotte. “We’re excited to be part of the township neighborhood of Ayrsley. This mixed-use community features hotels, businesses, schools, residential, retail, restaurant and entertainment venues. It’s a very visible and convenient location which will be great for Allen Tate customers,” said Kim Overman, Charlotte-Steele Creek branch leader. The new office will accommodate more than 30 Realtors® and staff and will cater to various work styles, including those agents who prefer to work virtually. It features a landing pad design, with open floor plan, large workroom and private conference space. 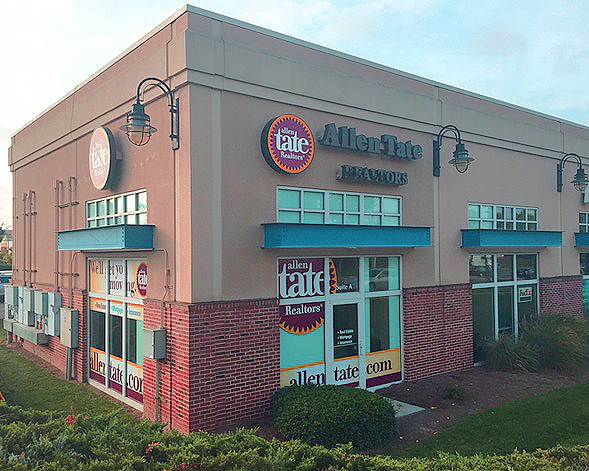 Allen Tate Company has 23 Charlotte-area locations, for a total of 41 branches in North and South Carolina. To contact an Allen Tate Realtor® in the Charlotte-Steele Creek office, call 704-805-9600.